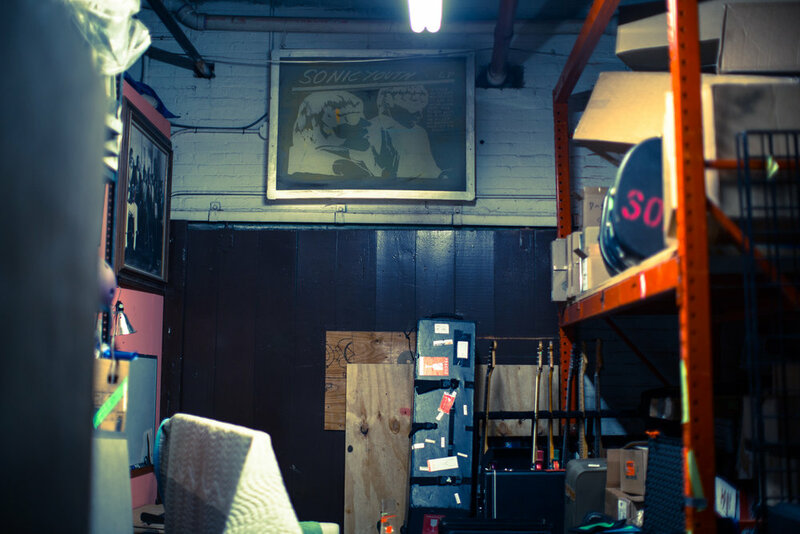 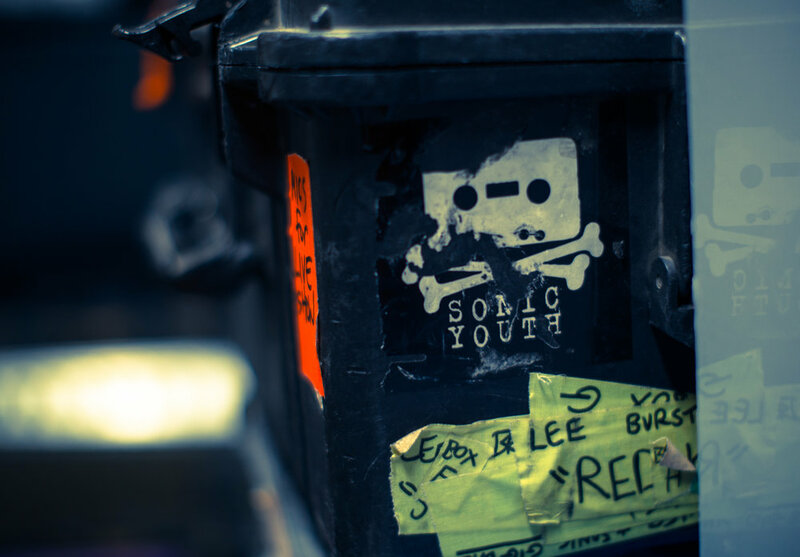 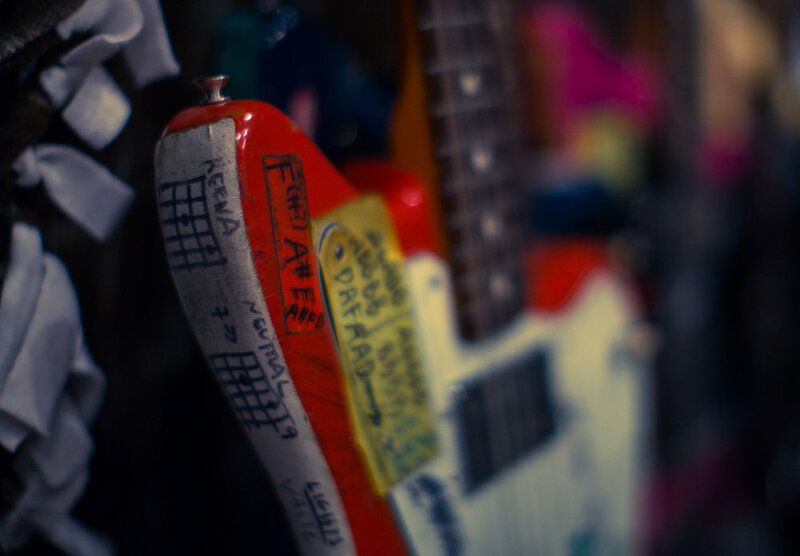 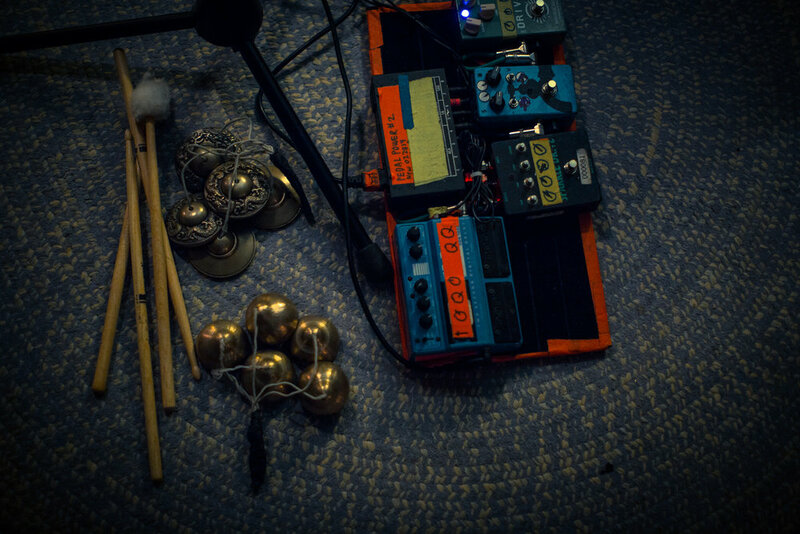 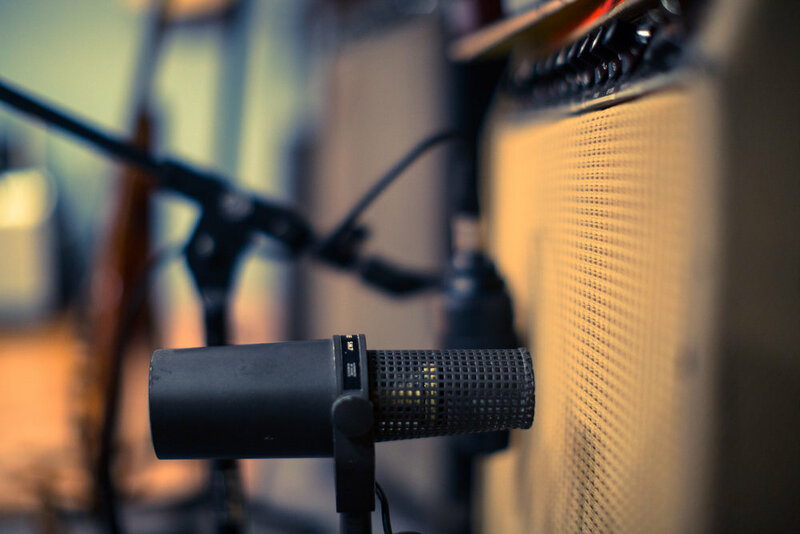 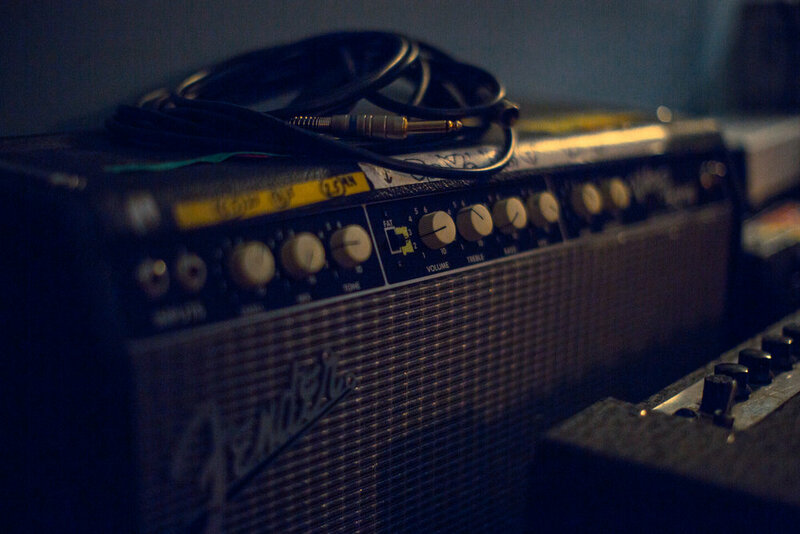 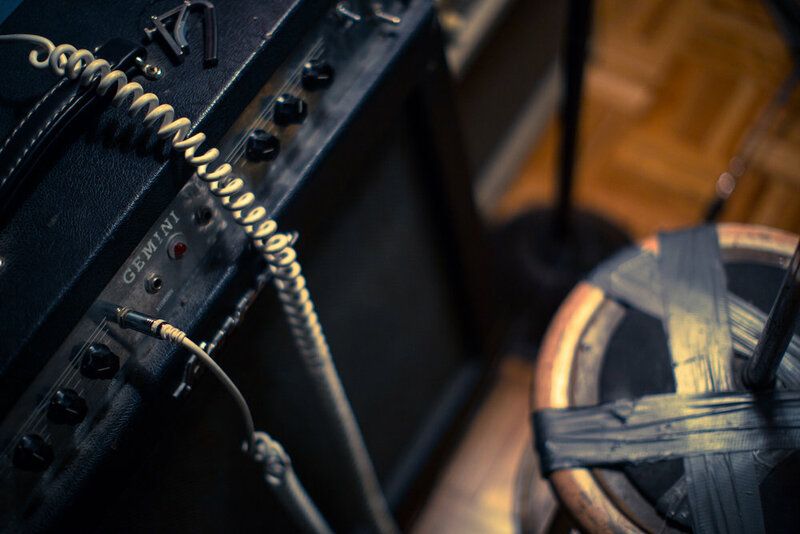 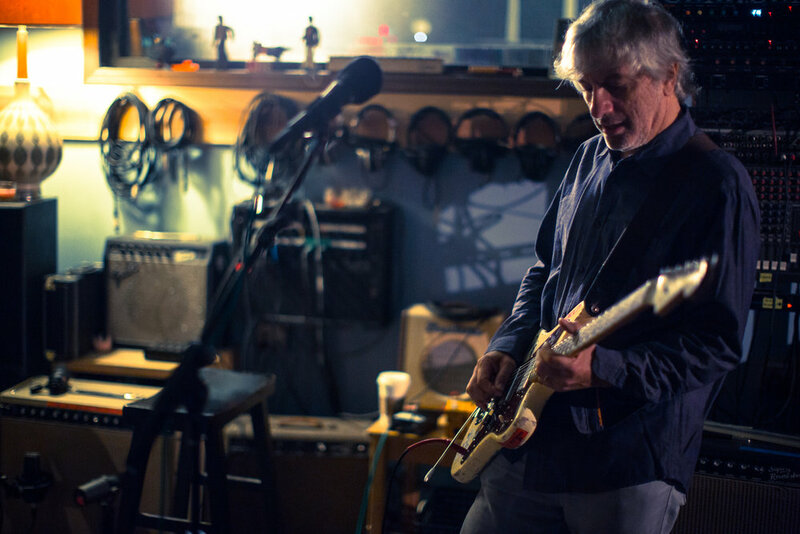 While shooting our series Rehearsal Space we got a chance to document the Sonic Youth's studio in Hoboken, as expected guitars and vintage amps are filling the space. 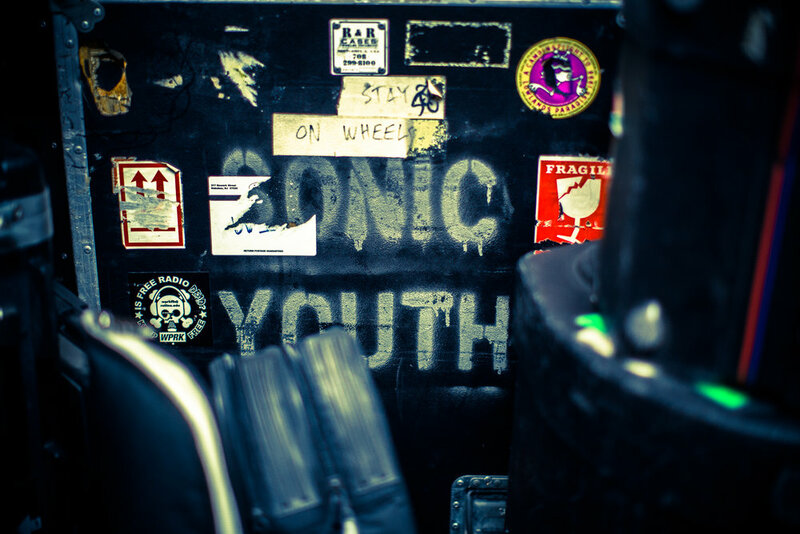 As cool mementos, theres an Iggy Pop set list, a silk screen of the famous Raymond Petibon cover GOO among may other pieces. 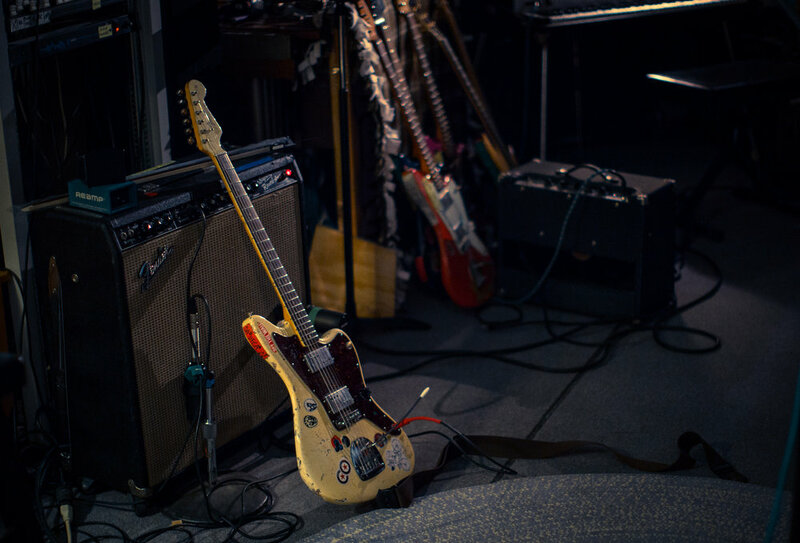 For me the most interesting part was the all the alternate tuning on Lee's Guitar.